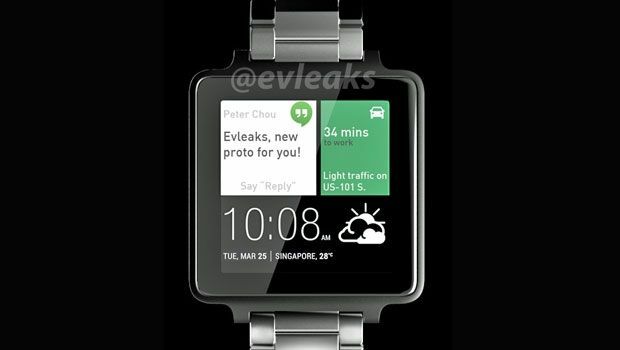 HTC to launch a smartwatch at MWC? HTC will reportedly unveil its first smartwatch at Mobile World Congress next month. Earlier this month, HTC signed a deal with sports brand Under Armour to collaborate on a connected fitness platform dubbed UA Record. The cobranded smartwatch is expected to be the first product launched that supports the new platform. Reports of the smartwatch were first published by Bloomberg. Despite HTC being one of the key partners, UA Record has been designed to work across multiple devices. That means in addition to possibly appearing on Apple's iOS, there is nothing stopping other fitness tech manufacturers from adding support for UA Record. While no hardware was confirmed at the time of the platform's announcements, it isn't really that big surprise that HTC is planning on launching branded hardware. The Taiwanese company isn't particularly known for it software, so a smartwatch was always a safe bet. Little is known about the smartwatch itself, but it is likely to come with an accelerometer for tracking steps at the very least. It may even come with GPS similar to Sony's Smartwatch 3 and Garmin's recently unveiled smartwatch range. While not confirmed, it is highly likely that the HTC Under Armour smart watch will be unveiled alongside the HTC One M9. The follow-up to HTC's flagship smartphone it Is expected to be unveiled at Mobile World Congress next month.